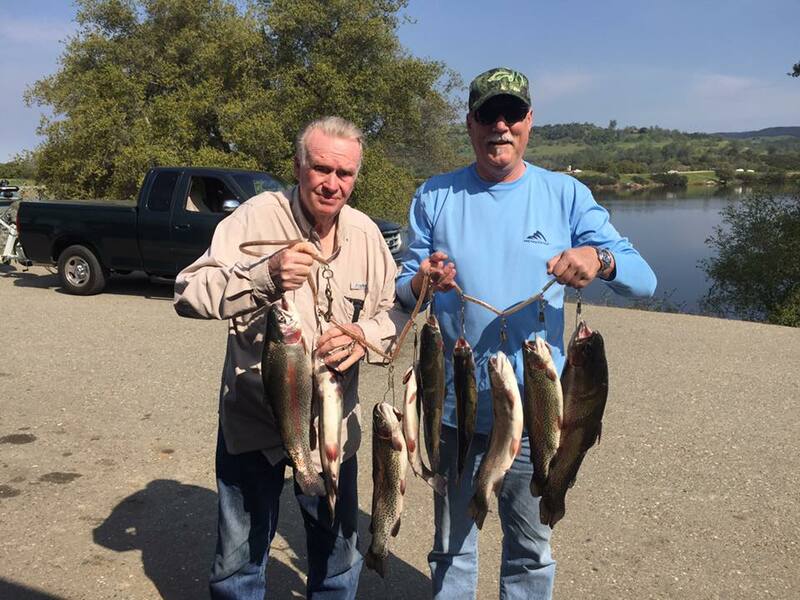 Warmer weather has taken the Trout to the 4-7ft range but still close to shore. 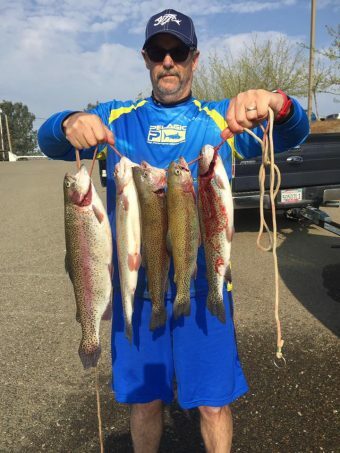 Trolling and using lures like Kastmasters are continuing to get better and better as water clarity improves. The Carson Arm is still a good area for bait fishing. The dock has been producing well for night fisherman! For boaters other than trolling, bait fishing the shoreline in the less pressured areas in the back of the lake are paying off. The Bass bite is ON!! Bass are on the shore and some have even moved on to beds. They are hungry preparing for the coming spawn so they are biting on almost everything! We like to encourage catch and release while the Bass are on their beds so they can have the chance to repopulate the lake. There were some reports of Bluegill and Crappie this past weekend, which will continue to pick up as the weather warms. Don’t forget to check us out on Facebook for more catches and details! 03/15/17 Steve Burke from Lodi was trolling with a perch Rapala and limited out by 945am!!!! Wow! 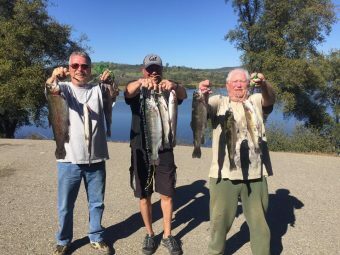 03/13/17 Jim, Gordon, and Dayton from Placerville came out and hit the spillway with green PowerBait.